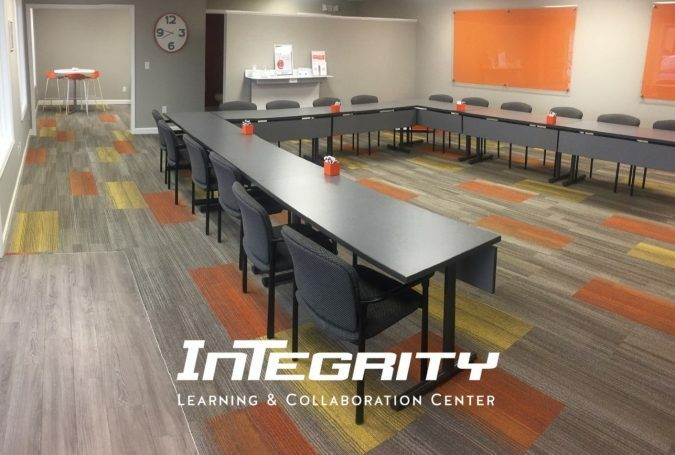 Our newly remodeled Learning & Collaboration Center can comfortably accommodate up to 24 people. With a choice of 5 different room set-up options, our facility can be reserved for meetings, small groups, collaboration & training. At no additional charge your facility rental includes: WiFi, overhead projector, laptop with wireless mouse & keyboard, conference speakerphone, Google Chromecast, Apple TV, 3 dry erase boards, and podium. Snacks and beverages are available for purchase.